Negotiating with commercial acquirers of art (dealers) is a part of being an artist or running an art centre. The process of negotiation is essential for a competitive art industry. 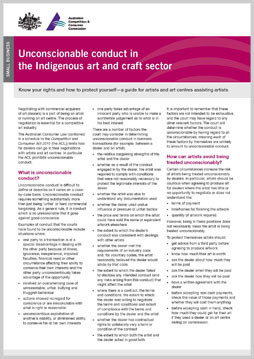 However, the nature of the Indigenous art and craft sector means there may be a power imbalance between some dealers and the artist or art centre.